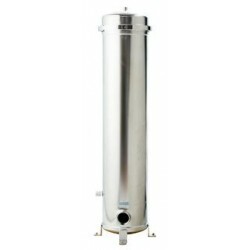 You are viewing our range of High Capacity High Flow Whole House Whole Supply Carbon Filter System. These are available with a full bypass assembly with a choice of semi automatic or fully automatic backwashing. 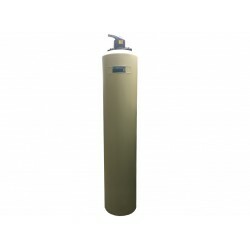 We now stock the Hydrotwist high flow whole of house water filter system that reduces fluroride and other impurities down to 5 Micron. 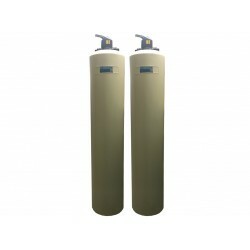 Whole House Point of Entry (POE) Carbon Water Filter System - Fluoride Removal A first in the industry - Whole house full flow filter system with Fluoride Removal Media (No pressure drop) The HydROtwist HTF1000 is a true Whole Of House Water Filter And Purification System That Ac.. Whole House Point of Entry Carbon Water Filter System - Manual Back Flush Installed on mains plumbing, sediment, chlorine, tastes, odours, colour and volatile organic compounds are removed from all taps and showers throughout the house, at up to 90 litres per minute, protecting tap washers, hot ..
Twin Vessel Whole of House Point of Entry Carbon Water Filter System - Manual Back Flush Installed on mains plumbing, sediment, chlorine, tastes, odours, colour and volatile organic compounds are removed from all taps and showers throughout the house, at up to 90 litres per minute, protecting ta..
High Flow Cluster Housing CF07 35 Gallons Per Minute Holds 7 standard 10" x 2.5" filter cartridges Choice of 304 Grade or 316 Grade Stainless Steel Comes with 1 1/2" NPT Inlet/Outlet Ports and 3/4" drain port Choice of filter options please choose above. 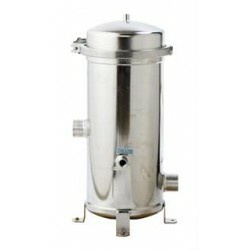 230mm (D) x 590mm (H) ..
High Flow Cluster Housing CF14 70 Gallons Per Minute Holds 7 standard 20" x 2.5" filter cartridges Choice of 304 Grade or 316 Grade Stainless Steel Comes with 1 1/2" NPT Inlet/Outlet Ports and 3/4" drain port Choice of filter options please choose above. 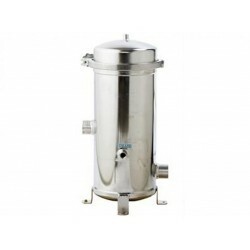 230mm (D) x 890mm (H) ..
High Flow Cluster Housing CF21 105 Gallons Per Minute Holds 7 standard commercial 30" x 2.5" filter cartridges Choice of 304 Grade or 316 Grade Stainless Steel Comes with 2" NPT Inlet/Outlet Ports and 3/4" drain port Choice of filter options please choose above. 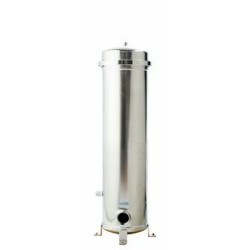 230mm (D) x 111..
High Flow Cluster Housing CF28 140 Gallons Per Minute Holds 7 standard commercial 40" x 2.5" filter cartridges Choice of 304 Grade or 316 Grade Stainless Steel Comes with 2" NPT Inlet/Outlet Ports and 3/4" drain port Choice of filter options please choose above. 230mm (D) x 138..